Grafton has been talking about getting back to the state championship game all season long, and finally the Indians are back. 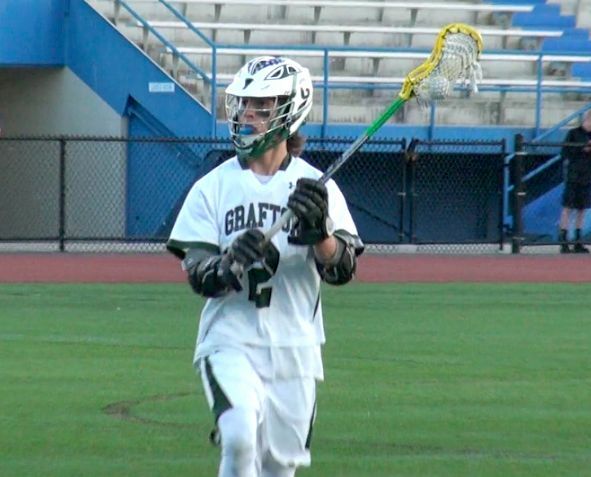 For the second consecutive year, Grafton will face state power, and reigning D3 champion Dover-Sherborn. In last year's game, D-S overwhelmed Grafton, winning 14-2 in a game the Indians were happy just to be in. Expect things to be a little different this year, as a veteran-heavy Grafton squad has its eyes on capturing the program's first ever state championship. It won't be easy though, and the Indians know it. D-S has won 44 of its last 45 games against MIAA Division 3 competition, though their last loss in the division did come in the 2014 state championship game against Cohasset, at Boston University's Nickerson Field. That venue will also host this matchup, set to start at 4:30 pm, and Grafton will be looking to pull the upset. Perhaps the biggest things working in Grafton's favor are its experience and depth on defense. They'll need all hands on deck against the potent D-S offense that features North Carolina commit attackman Billy Laidman, star Will Spangenberg, and a bunch of other guys that can find the back of the net. Still, if there's one thing you can say about Grafton, it's that the Indians have a ton of capable and willing defenders. If the Indians' poles and D-mids play to their ability, they'll at least limit D-S' opportunities, setting the stage for a potentially big day by goalie Cadrin Msumba. The senior played one of the best games of his life in the state semifinal against Hanover, and he'll likely need to play even better against one of the state's best offenses. But it won't just be about defense. If the Indians are able to slow the Raiders' attack, there will still be the matter of gaining, and maintaining possession. That means a big day from middies Matt O'Brien and Anthony D'Angelo at the face-off X, or at least a day where they hold their own, will be critical, and the offense needs to value every possession. When the Indians have the ball on their sticks, they'll be facing, probably, the best defense they've seen all season, which could lead to some early turnovers, and allow D-S to get some quick, cheap goals. The Grafton offense will need to avoid that, weather the storm, and maybe bury a long shot or two to make this a game in the first half. If they get that far, why can't they pull it off? If you're going to pull off an upset (and yeah, I know everyone hates it when I say their team is going for an upset, but let's be real, D-S is favored here), you'll likely need contributions from everyone. While the usual suspects of Chase Kapuscienski, Hunter Fraser and Cole Fontana, along with junior Brendan Coates have all been great this postseason, I've been waiting for D'Angelo to break out. Perhaps Saturday will be his day offensively, and his work at the X will be instrumental as well if Grafton is to get the ball, and do something with it. Facing D'Angelo (and O'Brien) at the X will be middie Joe Paolatto, a junior who has grown into his role as a face-off taker for D-S this season. If Grafton can't at least take a couple early ones from him and mess up his rhythm, it could be a long day of D-S controlling the game with its offense. Speaking of that offense, Laidman is one of the state's best finishers, regardless of division. The junior has painted corners of nets across Massachusetts all year, and stopping him will be more than a one-man job. Though this is his first year playing lacrosse, don't be surprised to see junior LSM Ifeatu Melifonwu covering Laidman. A Division 1 football recruit as a safety, Melifonwu may be the first defender Laidman has seen all year with the size, length and speed to stay with him. Will that be enough? Against a savvy and experienced player like Laidman, and all of his teammates up front, probably not. That's where Msumba comes in. All the Indians can really hope for is forcing D-S into some uncomfortable shots, and Msumba will need to make some highway robbery saves to keep D-S' gifted shooters from scoring anyway. On the other end, Grafton will need a big game from somebody offensively, but expect the Raiders to stick Phelan on either Kapuscienski or Fraser. An athletic 6-foot-2 pole, Phelan makes it tough for anybody to find room, but Grafton will have to find some way to create around the cage. Is this a game most are expecting Grafton to win? No. But, is it a game Grafton can win? Of course. The Indians have the defense, the experience, the athleticism, and the offensive firepower to play with anybody. The real question marks will be containing an offense that can't totally be stopped, winning face-offs and limiting turnovers and forced shots. If Grafton can do all those things, it can pull the upset, but again, it won't be easy. For DS you also have to worry about Spangenburg, Hargreaves and Davies. Force their attack at X to go one side or the other. Don't play them 50/50. Mids need to Make long, midfield dodges against their short pole D Mids. They will slide early and hard. Move the ball quick to the other side through X or the point. Attack should make long dodges from the corners behind the cage with everyone else above; Push the cage, draw a slide, follow the slide and feed. Also another attack man needs to step off back side because of the dodge does get the shot, or he doesn't feed the sliding man's player the ball should move to the attack man stepping off back side of GLE for a quick cycle up to for a step down. Also, they do not like the physical aspect of lacrosse. They and their coach will complain and get close to losing focus and composure if you play men's lacrosse. Great effort Grafton. DS just has soooooo much.